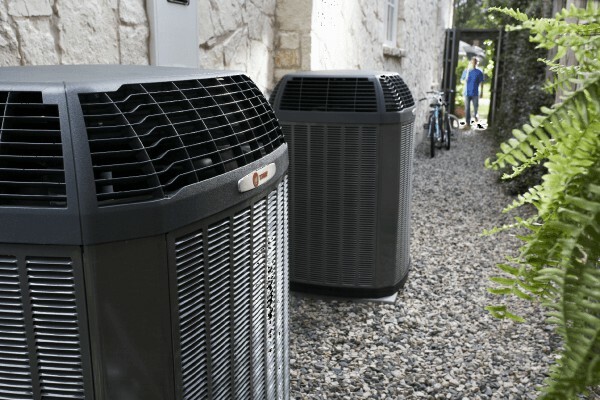 On a hot Texas afternoon, is there any system in your house you depend on more than your air conditioning? Probably not. Unfortunately, your air conditioner is a complex system with many parts that can break down at any time. That’s why it is vital to have someone on your side to keep your system up and running. Whether you need a new unit installed, maintenance, or repairs for unexpected issues, contact Cote’s Mechanical. When it comes to air conditioning service, choosing a local company is best. That’s because the service and dependability of a great local firm like Cote’s Mechanical are unmatched by the national chains. We offer A/C services including installation, repair, and maintenance for residential and commercial customers in and around Denton, Texas. Because we are locally owned and operated, we know the area and understand what it takes to keep air conditioners up and running during a hot Texas summer. Plus, when you call our office, you’ll talk to someone based here in Texas, not across the country. We’re here for you when you need us. As the temperature rises, you count on your air conditioner more and more to keep your home cool. However, no matter how well you maintain it, there will come a time when every A/C system will need some repairs. That’s when you call Cote’s Mechanical. We will get out to your home quickly and get to the root of your A/C problems as soon as possible. You can always count on us to be honest and upfront about the issue and help you decide on the best course of action regarding repair or replacement. Our goal at Cote’s is to get your air conditioner back to running perfectly as quickly as possible. Whether you are replacing an existing air conditioner that has reached the end of its life or you are installing a unit in a brand new home, let the air conditioner installation experts at Cote’s Mechanical take care of the process for you. We will help you choose the most effective and energy-efficient A/C unit for your home. Plus, you can count on us to install your new unit correctly the first time, every time. While you cannot avoid repairs entirely, one of the best ways to keep your system in good working order is by taking advantage of the A/C maintenance and tune-ups we offer at Cote’s Mechanical. Regular maintenance will keep your system working smoothly and allow us to catch small problems before they turn into big ones. In addition, a system that is maintained on a regular basis will generally be more economical and ecologically-friendly – a win-win for your budget and the earth. Ductless air conditioning systems can be a flexible cooling option for those who want to cool only certain areas or want zone-by-zone cooling. Unlike a standard central air conditioning system, there is no air handler and no ducts in these systems; instead, there are compact individual units installed in each room. For some homeowners, ductless air conditioning can be the ideal solution for keeping the house cool and avoiding the hassles of retrofitting a home with air ducts. An expert from Cote’s Mechanical can discuss this option with you and help you decide if you want to go ductless. A/C ductwork keeps the cold air flowing around your home. When we perform regular maintenance on your air ducts, it can keep the air you breathe fresher and reduce your energy bills each month. Attic fans help to quickly cool a home, especially during times of more moderate temperatures. Installing an attic fan requires specific ventilation systems be put in place, as well as occasional maintenance to keep them running smoothly. However, the result is well worth it as running an attic fan is much more economically efficient than utilizing an air conditioner all the time, and it can help keep a home cool and comfortable as part of the home’s HVAC system. One of the most important parts of a traditional air conditioning system is the air handler. Let Cote’s Mechanical help you keep it running smoothly with proper installation, repair, and maintenance services. Usually located in your basement, attic, or garage, keeping this heavy-duty piece of machinery working is essential to assuring your A/C works as expected every time you turn it on. For more information about our air conditioning services in or around Denton, Texas, contact Cote’s Mechanical today. We look forward to keeping you cool and comfortable all year round!